Leaving a mark on the landscape. 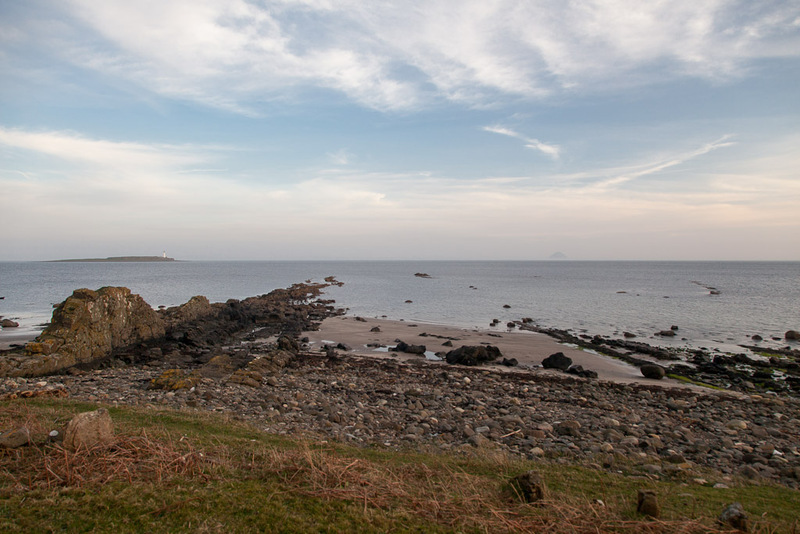 The tertiary volcanic eruptions have left their mark on the south coast of Arran. Dramatic basalt dykes radiate out at right angles from the Kildonan Shore. We came across this carved stone seat. Its inscription reads "does the song of the sea end at the shore or in the hearts of those that listen". 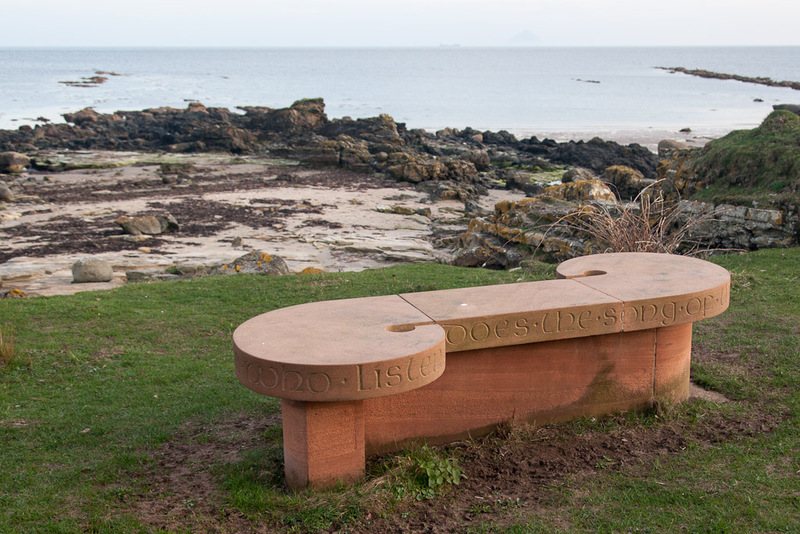 This is a quote from the Lebanese poet Khalil Gibran and the seat was carved in 2008 by Lamlash sculptor Tim Pomeroy. It commemorates Bill and Catriona Sillars but nowhere do their names appear on the stone, you need to spend some time on Google to discover them. 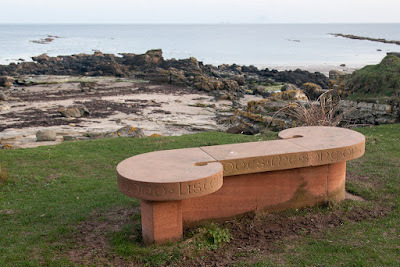 The seat is not in a particularly remote place, it is on the main coastal path round Arran. It performs a useful function, unlike the granite obelisks (John Smith loved this spot etc.) 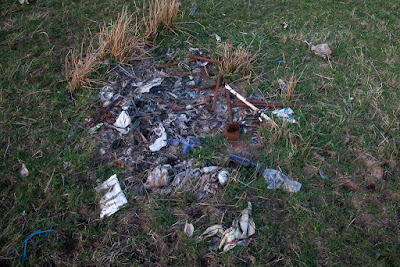 and piles of crematorium ash that litter some of Scotland's remote places, I liked this seat. In complete contrast, we came across this memorial to someone's camp. 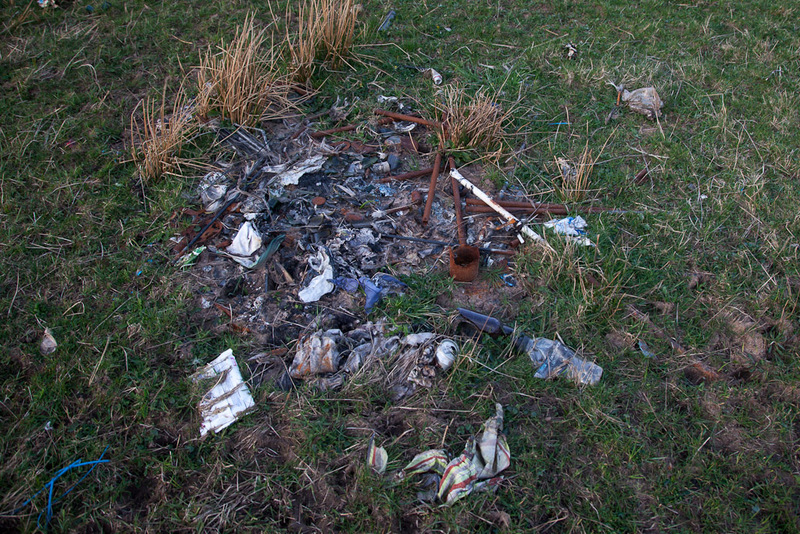 They had torched the lot; tent, sleeping bag, clothing, food and rubbish. They clearly didn't want the bother of carrying anything back. Modern camping gear is so cheap, it clearly made sense to burn it to minimise the effect of their camp on the landscape. I am not sure if the Blackwaterfoot ladies' militia would have approved.